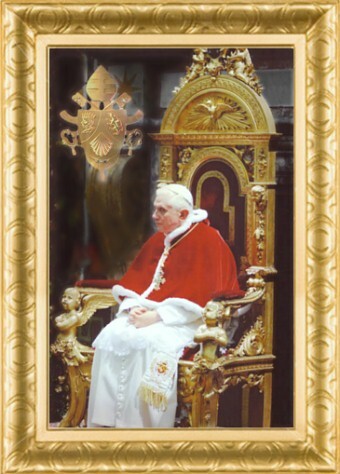 On Saturday 7 July 2007 Pope Benedict XVI issued an Apostolic Letter on the celebration of the Roman Rite according to the Missal of 1962.
for the motu proprio "Summorum Pontificum"
His Person and all his intentions. 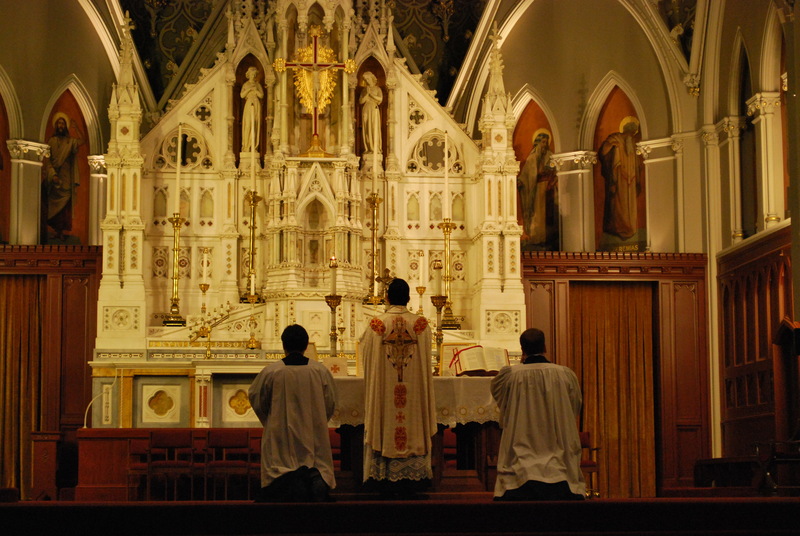 UNA VOCE New England, the Holy Name Society (HT), and The Cathedral of the Holy Cross, Boston, invite all to First Friday Mass, celebrating the Mass in the language of the Universal Church, Latin, and according to the ancient Tridentine Rubrics. 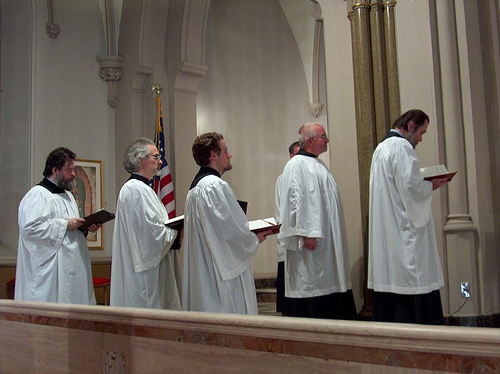 Reacquant yourselves with your Catholic Heritage, in a reverent, spiritual, and tradional Mass and devotion to Tradional Catholic music, Gregorian Chant, and the Mass of all Ages - the Mass of All the Church. Testimony of Jim Folino who serves at the Extraordinary Form of the Mass. 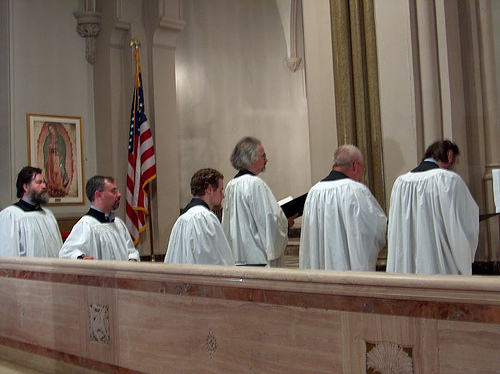 "I have served during the Latin mass at St. Columbkille Parish.It has been a great opportunity. I have had no exposure to Latin, and my first mass was a struggle. 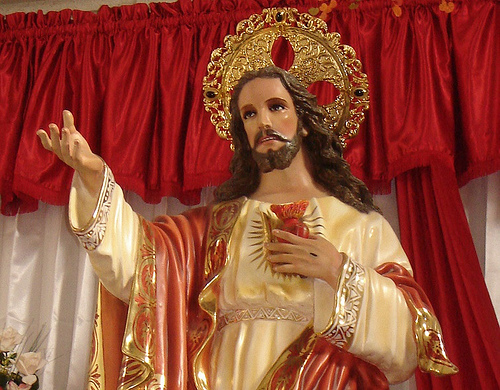 However, I quickly began to learn the meaning and traditions associated with the mass. In addition, I have felt more connected with the intentions of the early church. You can almost feel the years past. 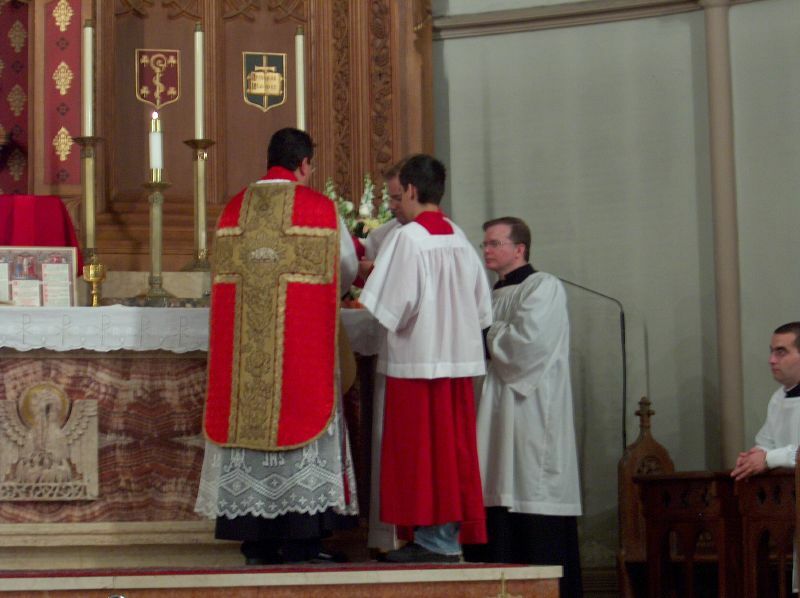 It seems that many people in the parish have celebrated Latin mass earlier in their lives and enjoy it as well. The Latin prayers and Gregorian chants are reflective and peaceful. During this time, I have been much more aware and open to receive His will. It has provided me with focused time to strengthen my relationship with God." 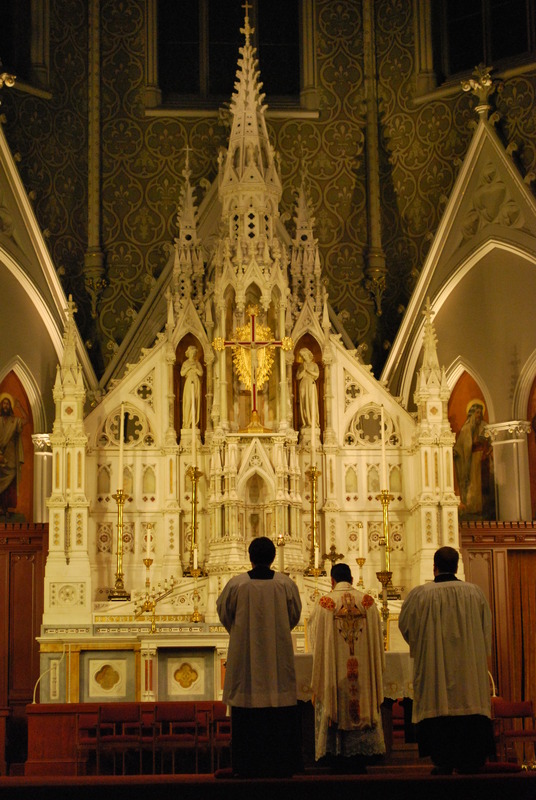 See the beautuful pictures of the Corpus Christi Mass at the Most Holy Trinity Church in Boston. 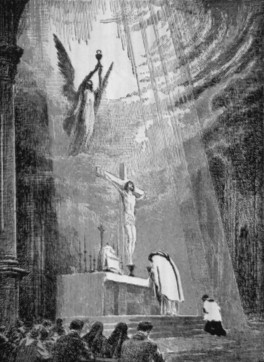 "THE EXTRAORDINARY FORM OF THE MASS"